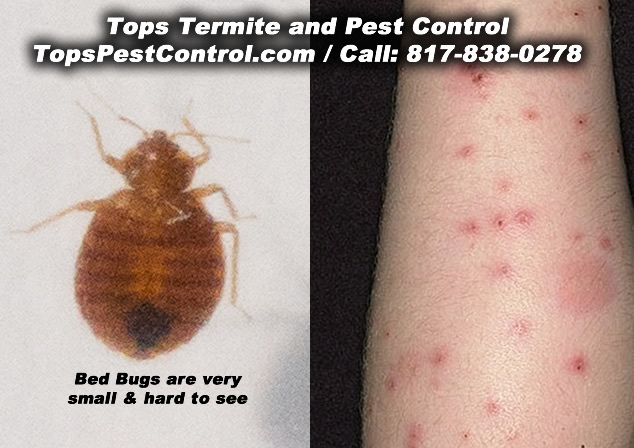 Bed Bug / Pest / Termite Services for Fort Worth, Weatherford, Azle and surrounding areas. Bed Bugs are becoming more commonly a concern and they require a cycle of treatment and consistency from the home owner. 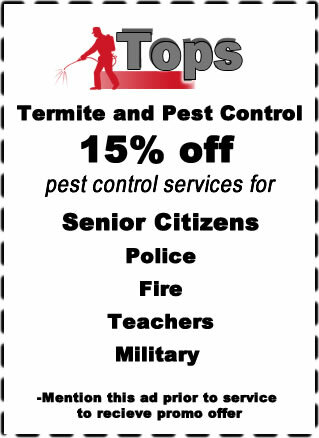 Tops Termite and Pest Control can help you eliminate Bed Bugs. Call 817-838-0278 for a Pest Control Specialist.